This was the first year of what is now the NCAA Tournament. Phog Allen played a key role in the development of the tournament. 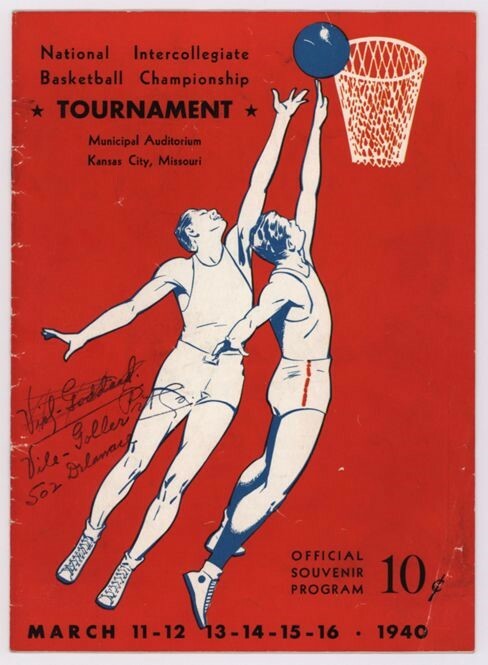 “National Intercollegiate Basketball Championship Tournament Program Cover, March 1940,” KU Libraries Exhibits, accessed April 22, 2019, https://exhibits.lib.ku.edu/items/show/7634.